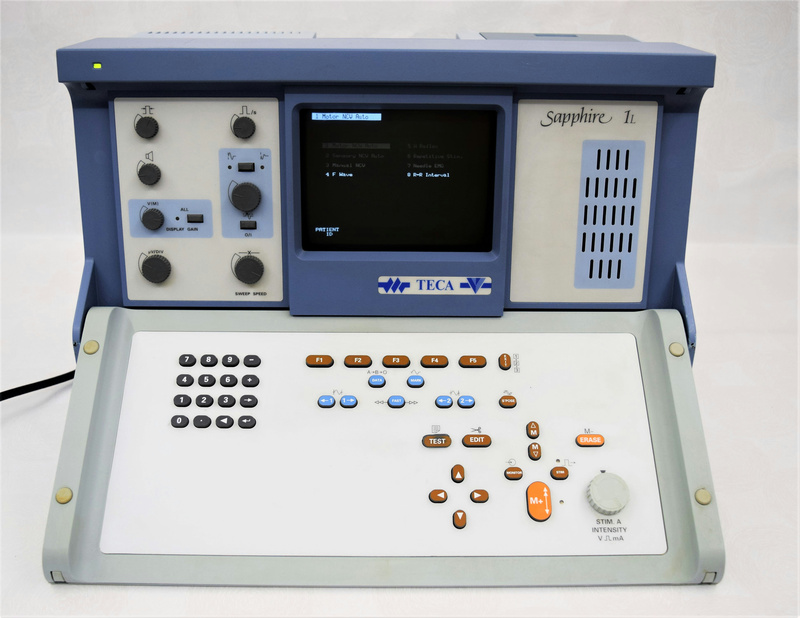 Teca Medelec Sapphire 1L EEG EMG Electromyography Medical Biomechanical Exam . New Life Scientific, Inc. This product is in good cosmetic condition. The technicians were unable to test this system, but they checked for basic functionality. The instrument was powered on and the buttons were pressed; the Sapphire was responsive, but no further testing was performed. This product was not acquired with accessories (nor consumables). Untested, Minimal wear in good condition.